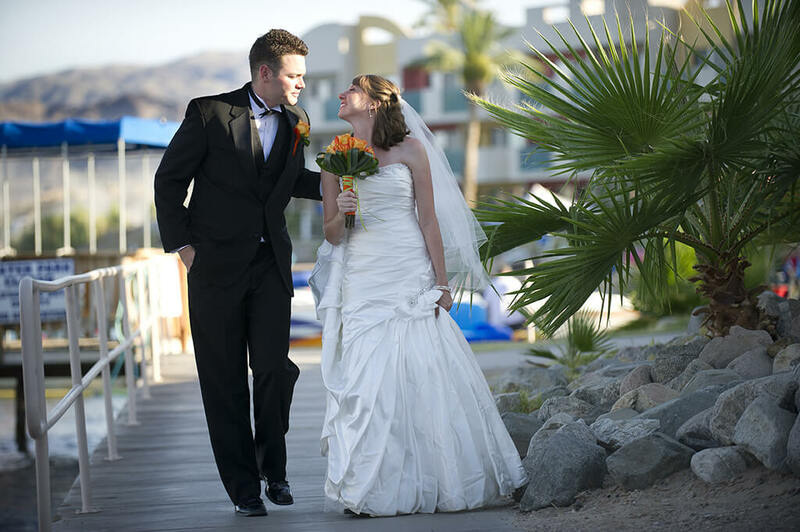 Say "I Do" to a desert wedding in Lake Havasu City! In the wedding world, we're known best for our picturesque beach ceremonies. Gorgeous sun-painted rock formations, white sand beaches, clear blue waters, and year-round sunshine make Lake Havasu City one of the most beautiful desert weddings settings in the Southwest. Tie the knot in one of our marvelous traditional wedding venues, or have your dream wedding on our white sandy beaches, atop the scenic red rock mountains surrounding the city, or on a boat floating gently on the shimmering waters of Lake Havasu. Say "I do" on the London Bridge, overlooking the lake, and incorporate a piece of history into your desert wedding ceremony. Best of all, Lake Havasu City is always an affordable destination, so you can have your dream desert wedding without breaking the bank! Explore our free and low-cost romantic ideas for desert weddings and honeymoon memories to last a lifetime. Lake Havasu City is also the perfect destination for your bachelor or bachelorette party, and a wonderful place to renew your wedding vows after years of happiness together. To help you create those special memories for your wedding, rehearsal dinner or bridal shower, Lake Havasu City has restaurants and caterers with offerings appealing to all tastes and budgets. Your desert wedding destination is closer than you might think! Lake Havasu City is about three hours' driving distance from Phoenix, 2-1/2 hours from Las Vegas, and about four to five from Los Angeles. Las Vegas and Phoenix have the largest international airports in the area. The table below has information about wedding venues, planners, officiants and obtaining marriage licenses and permits. 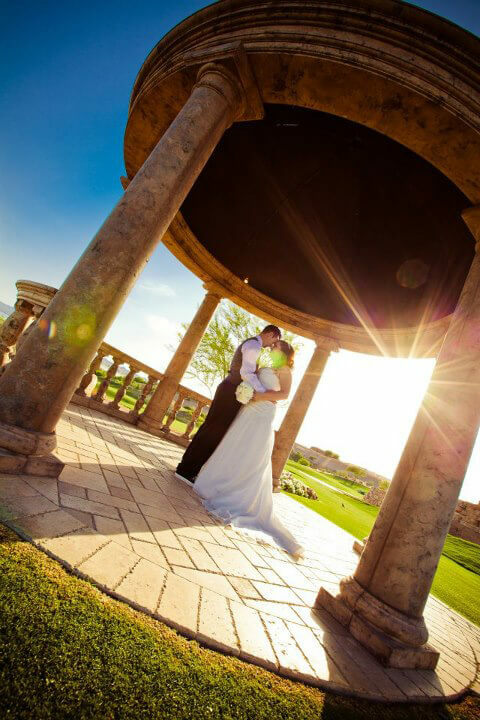 Details about these and other wedding topics can be found in this guide to getting married in Arizona. For a list of churches in the Lake Havasu City area, please click here. Meet some of the talented wedding professionals who make dream desert weddings come true for brides and grooms getting married in Lake Havasu City.